During my first trip to NY, I did all the tourist things anyone could possibly do in NYC. I also did what every Beatles fan should do. 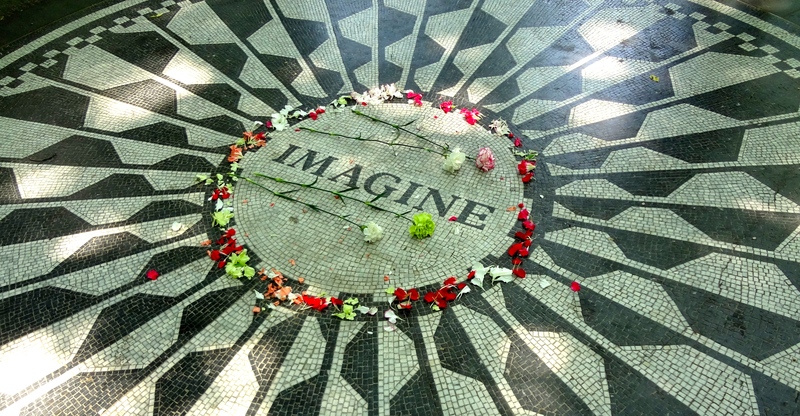 I paid a visit to Strawberry Fields at Central Park and put down a daisy for John Lennon. My friends made fun of me for doing this. They just do not know how the Beatles keep me sane.